The journey through Coupeville, Washington ends with this unidentified object. It appeared to be combination of crab and beach stones, fused together to create some sort of festive pier decoration. It was so ugly, it was beautiful! I started my photo blog last March on Blogspot, which was dedicated to images from my cell phone. The daily photo challenged me to look at the world in new and unique ways. By August, though, the cell phone idea got old, and I decided to move over to WordPress and revamp the blog concept to include images from not only my camera phone, but my Nikon point and shoot, and the borrowed Canon 40d. I’ve had the great pleasure of meeting a lot of talented photographers and writers through this forum, which has made the last half of 2010 very rewarding. I’d like to wish all of you a very Happy New Year! May you be blessed with new vision and sense of excitement about what 2011 holds! Previous Post Previous post: You Talkin’ To Me? 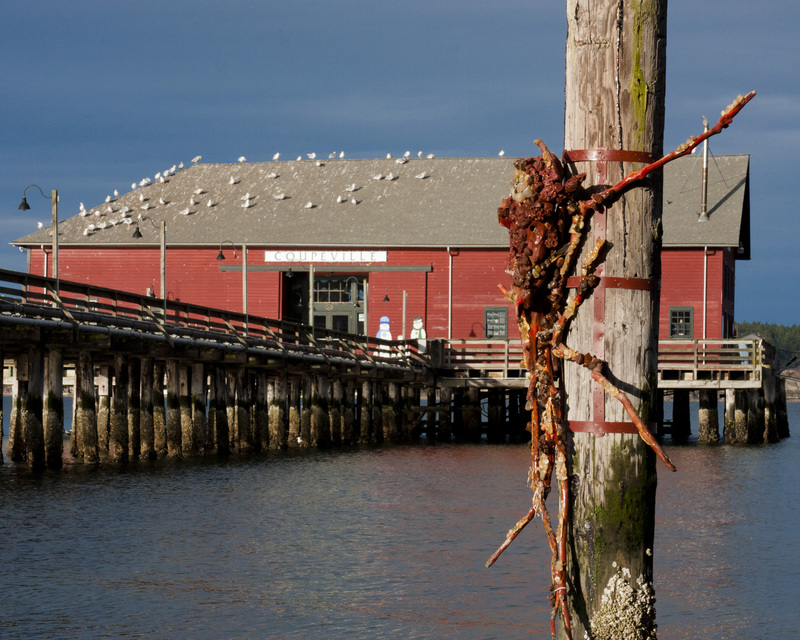 Nice photo with the crab, and the birds resting on the roof. Wishing you health, happiness and lots of adventures for 2011! I wish you all the best as well, Lisa! Happy 2011! I don’t know what the heck that thing is, but it makes for a good photo. I have enjoyed your blog posts and photos – one of the good things I discovered in 2010. Best wishes for a great 2011.